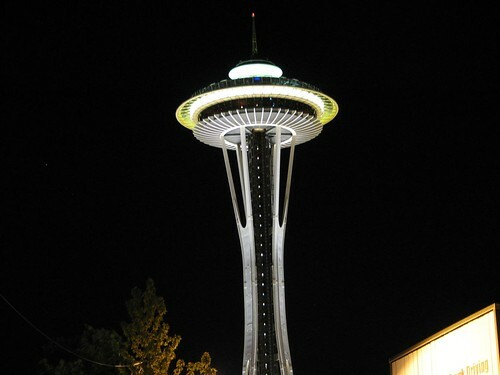 I went to Seattle to attend the ASMS conference for work. Click on the picture to see the whole set in Flickr. The most ironic thing about this trip was that I had worked for a major mass spectrometry company for 12 years but never attended to this conference. We actually demoed our new instrument in their hospitality suite, amoungst 200 ex-coworkers. So I had to leave the company to go to this conference, only to be back in their suite, wearing the same color shirt as the rest of them. It is a strange world indeed. In the mean time, I missed Adam's first Memorial Day parade. 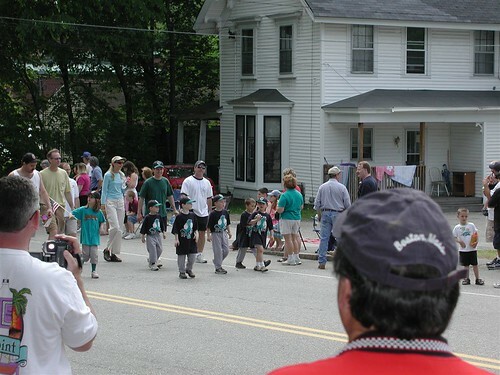 Here he is marching with his T-Ball team, the Ogden Raptors. Click on the photo to see another closeup.